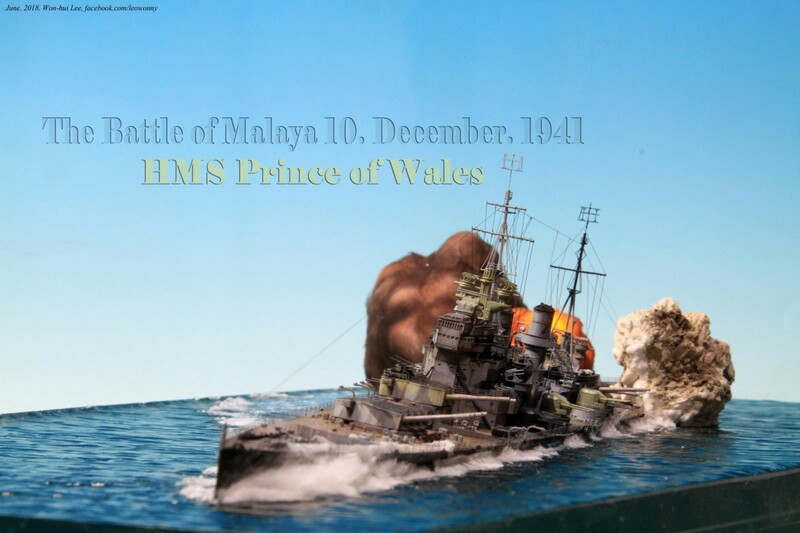 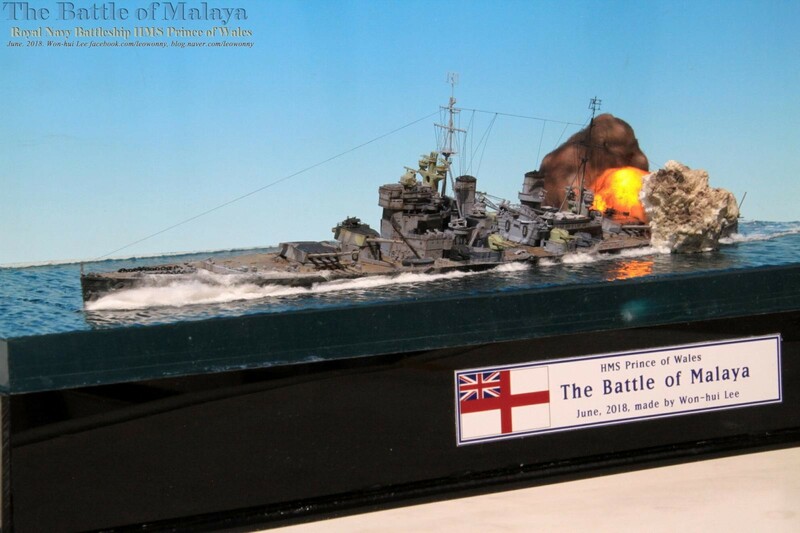 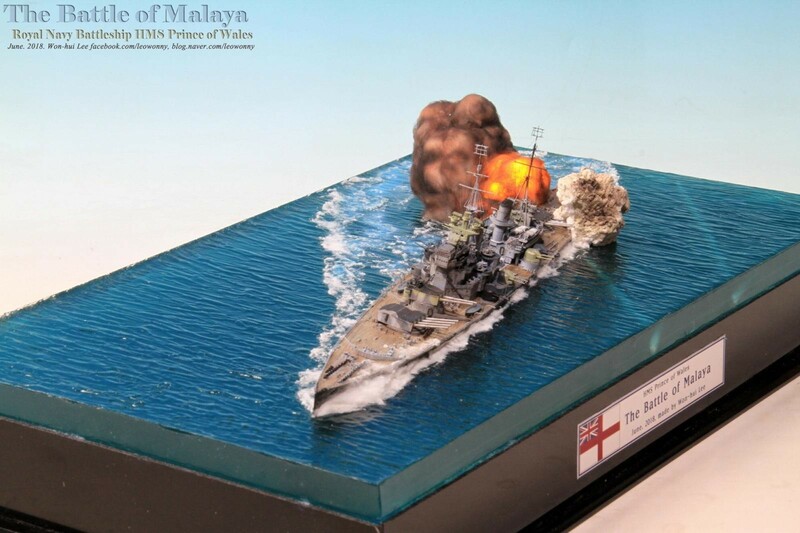 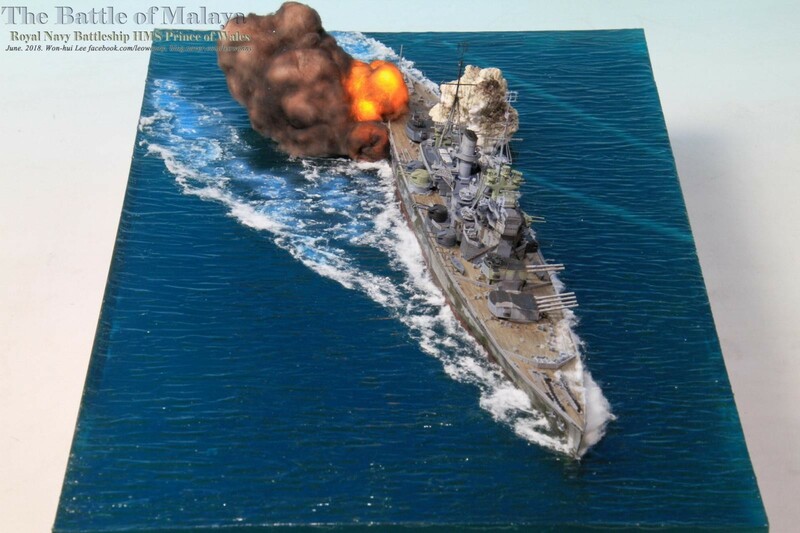 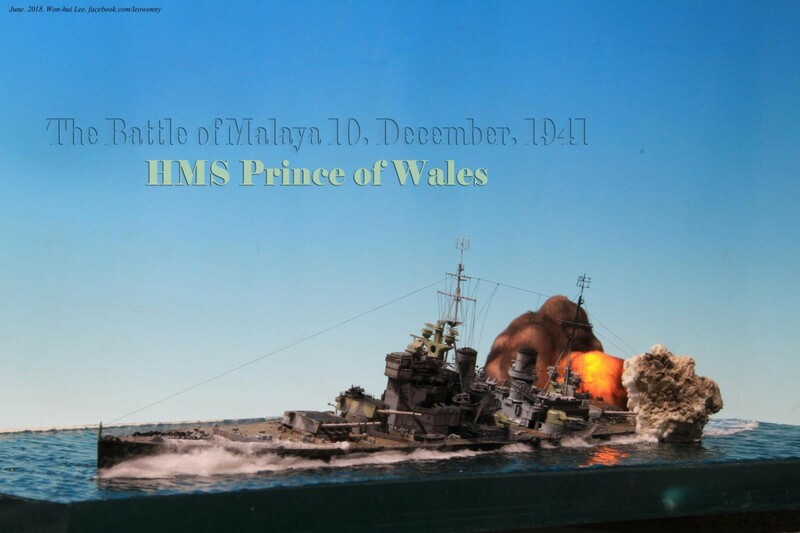 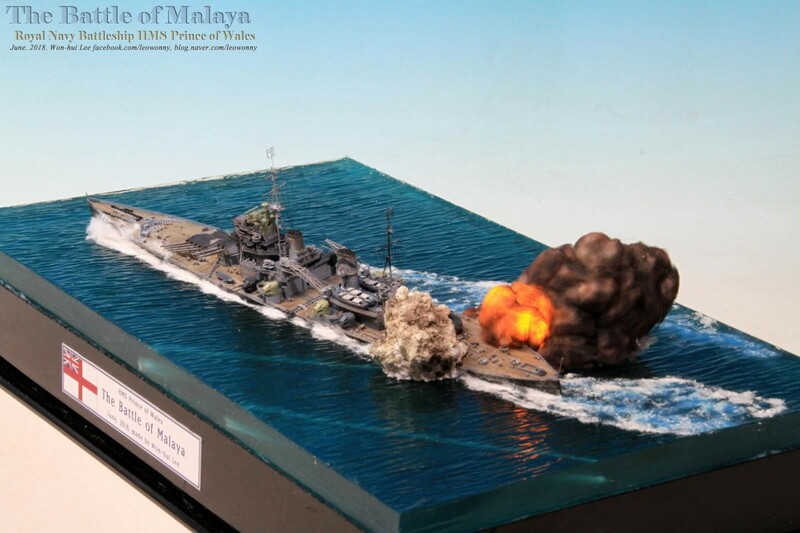 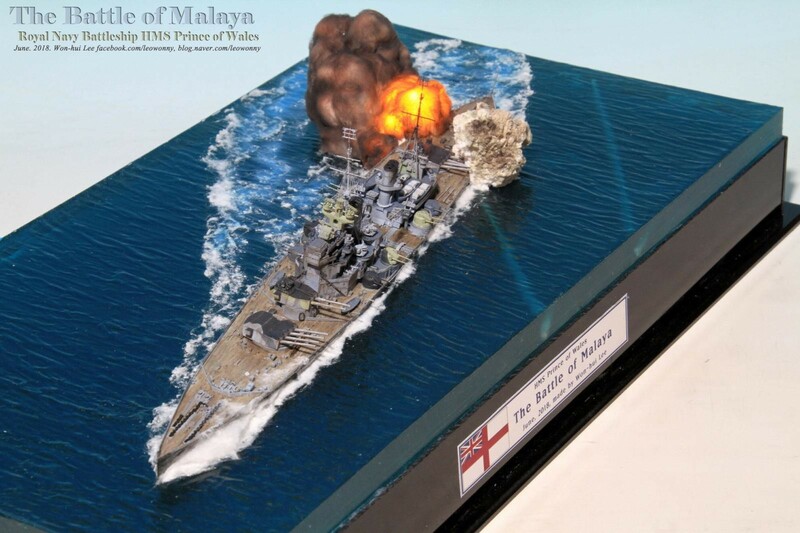 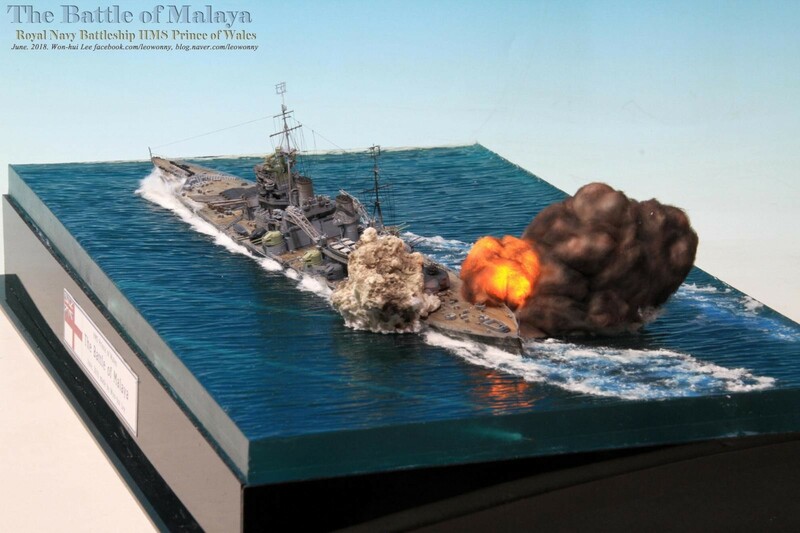 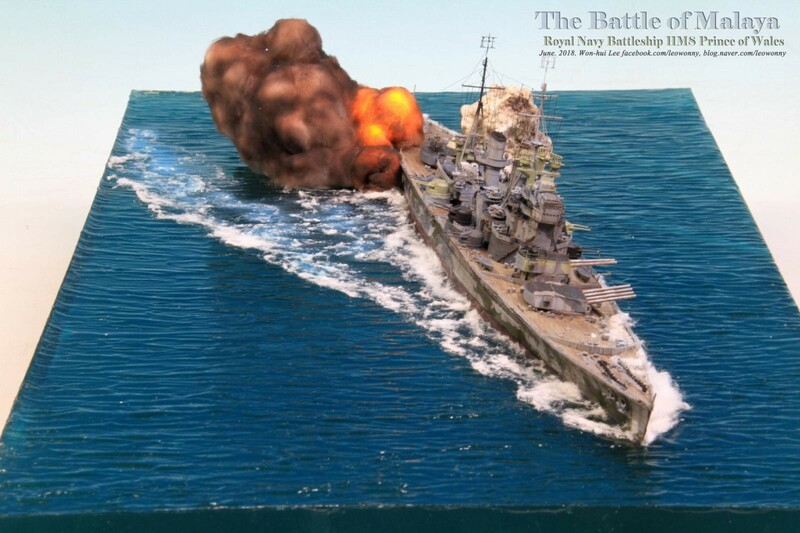 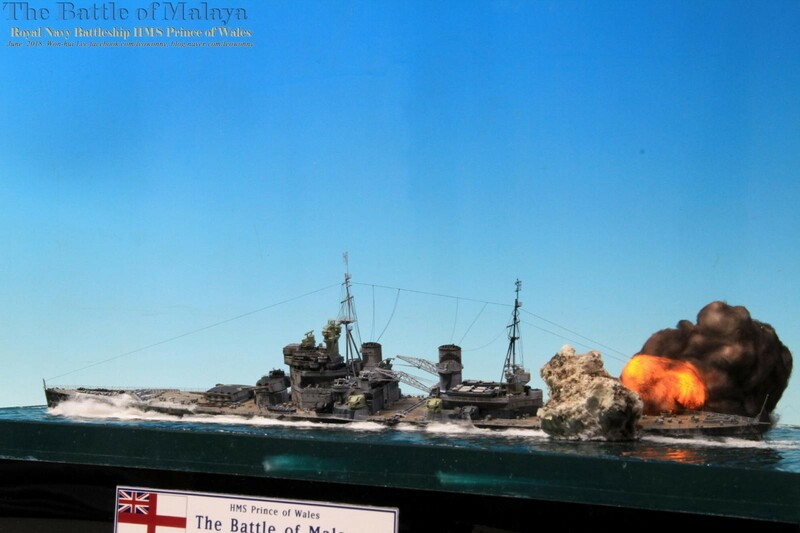 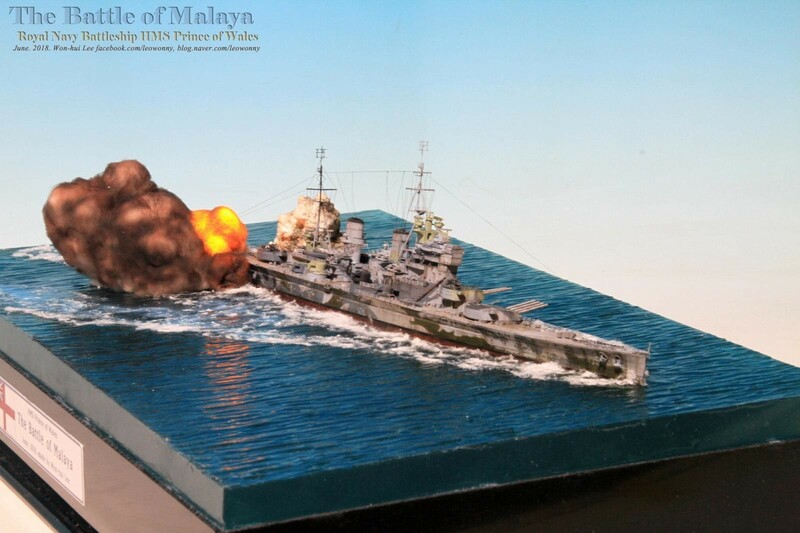 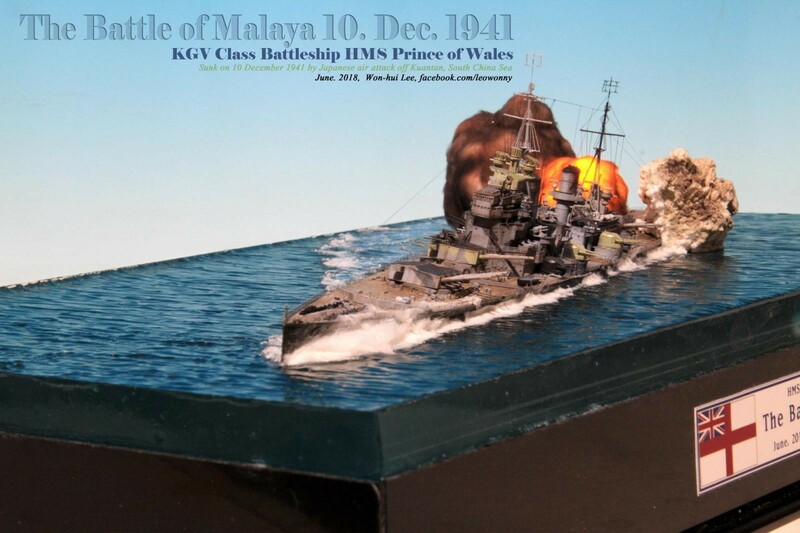 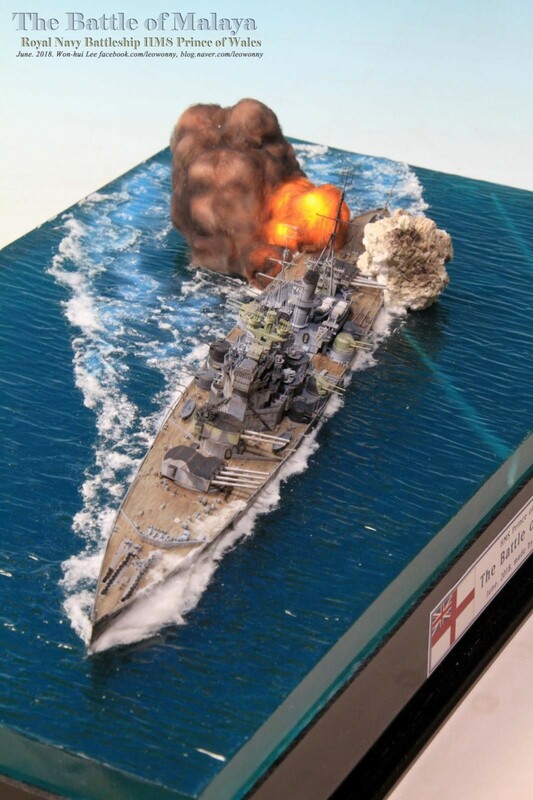 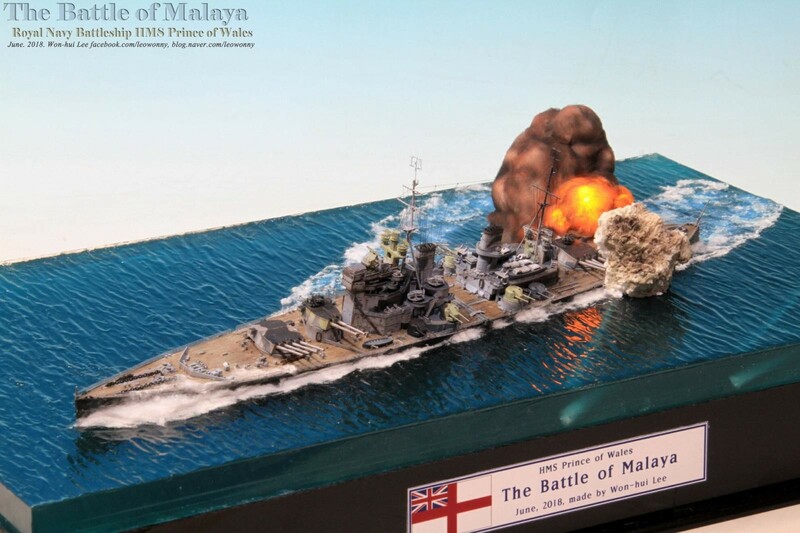 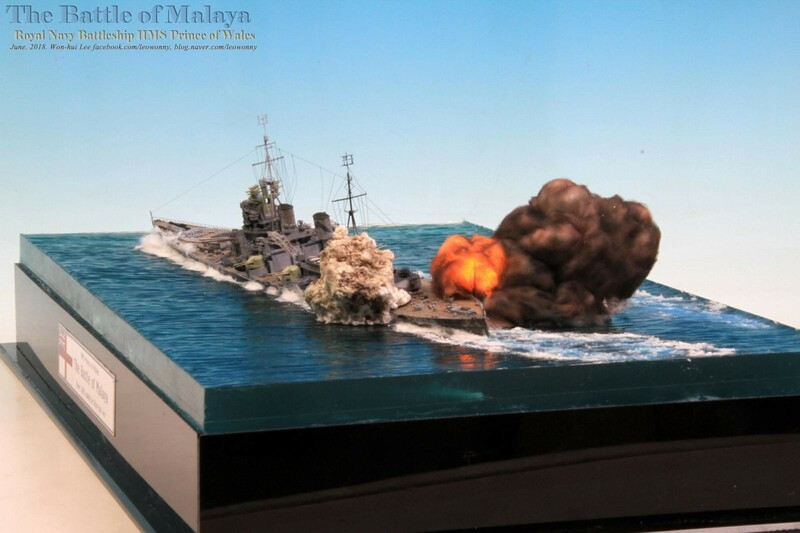 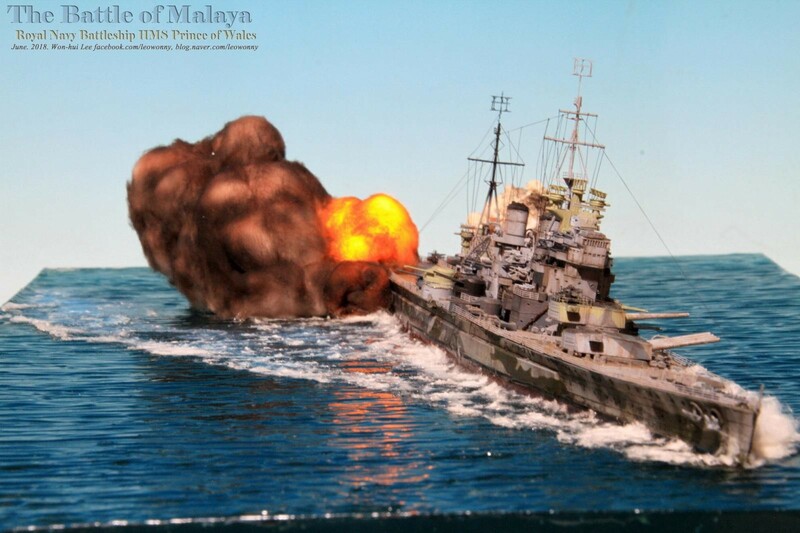 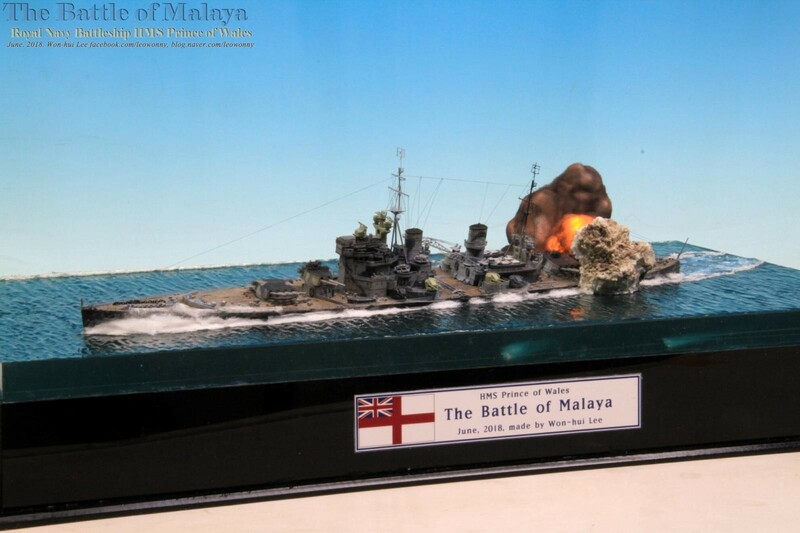 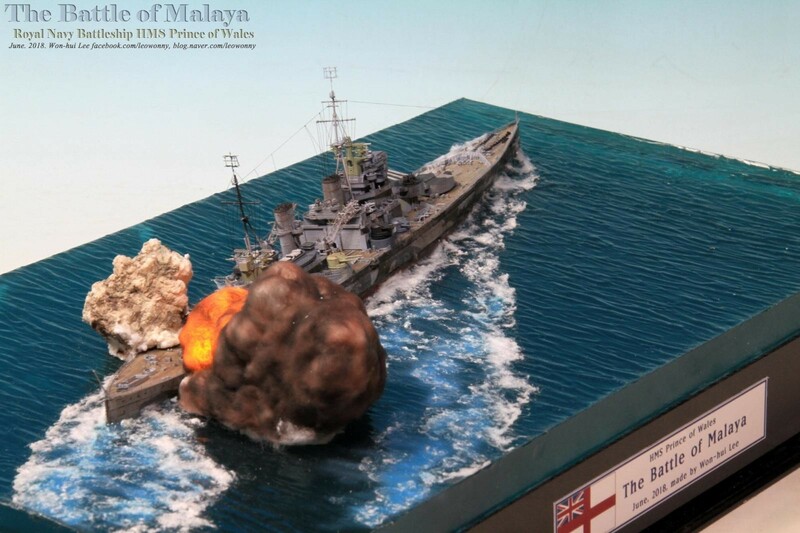 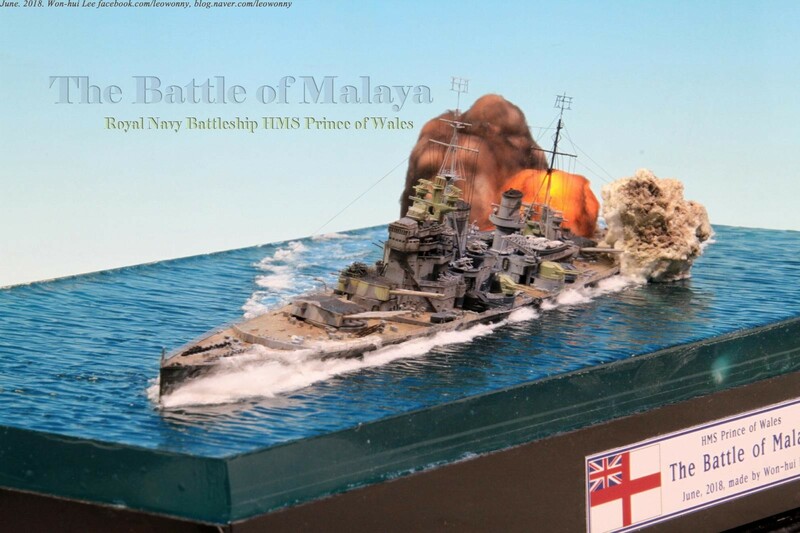 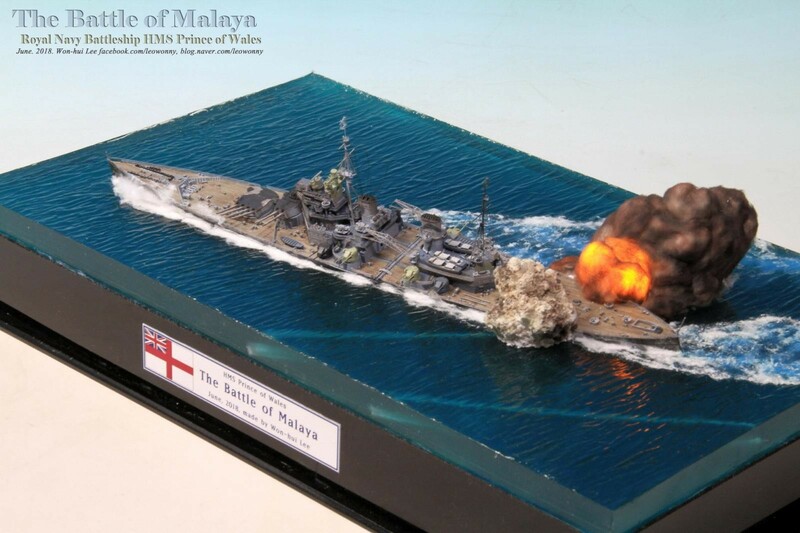 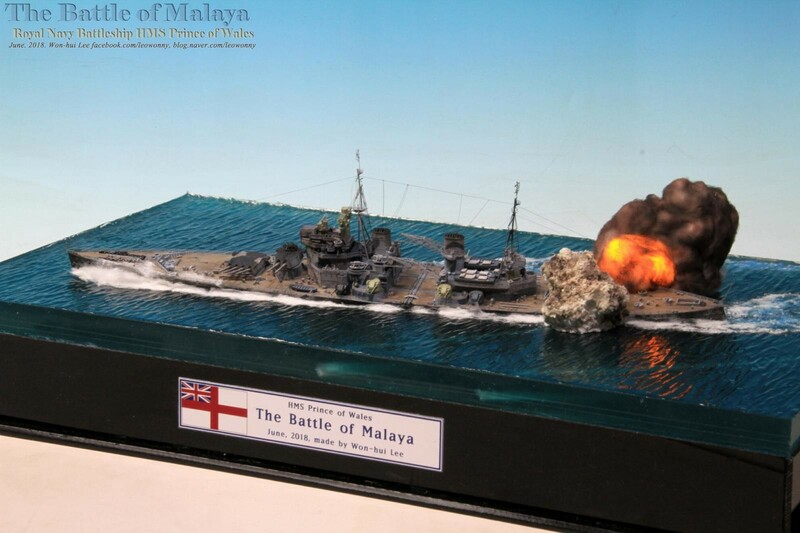 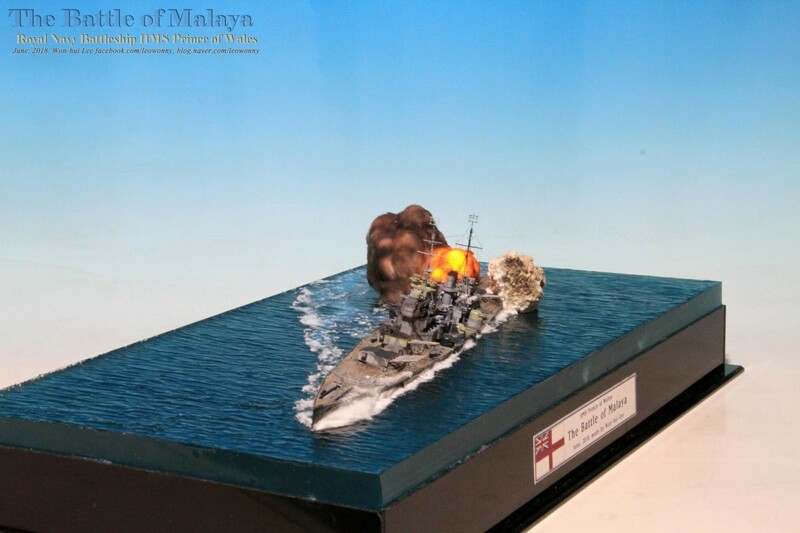 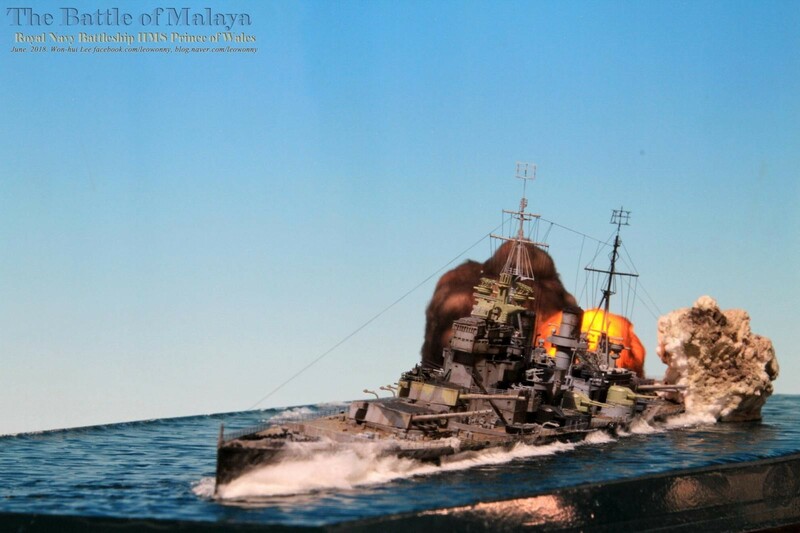 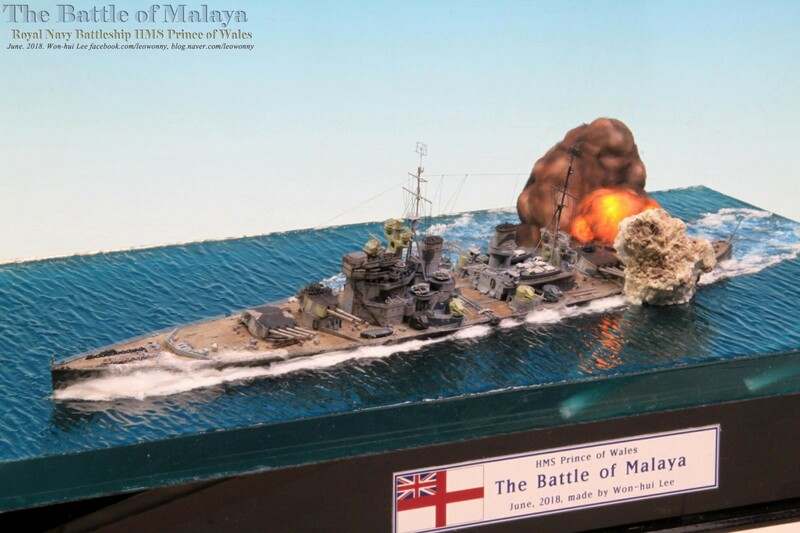 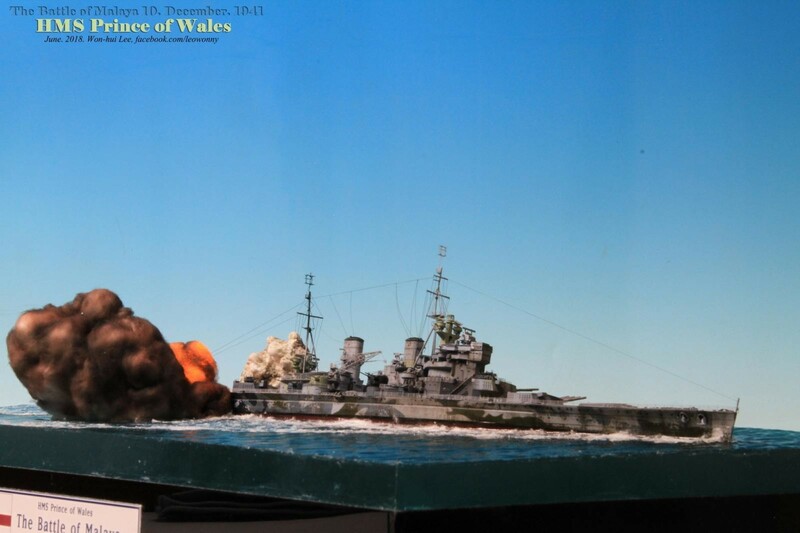 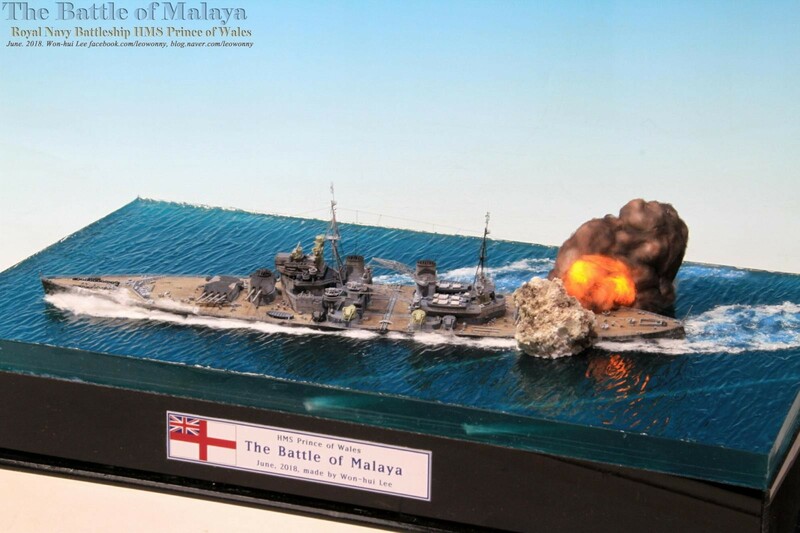 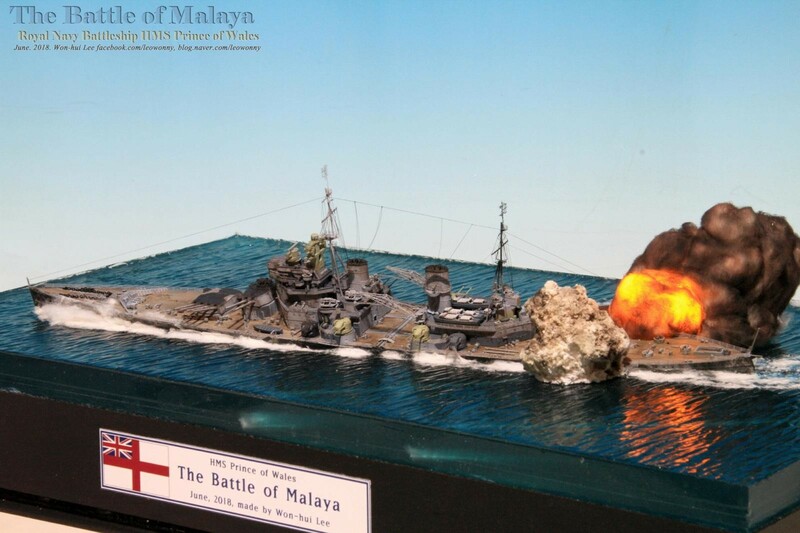 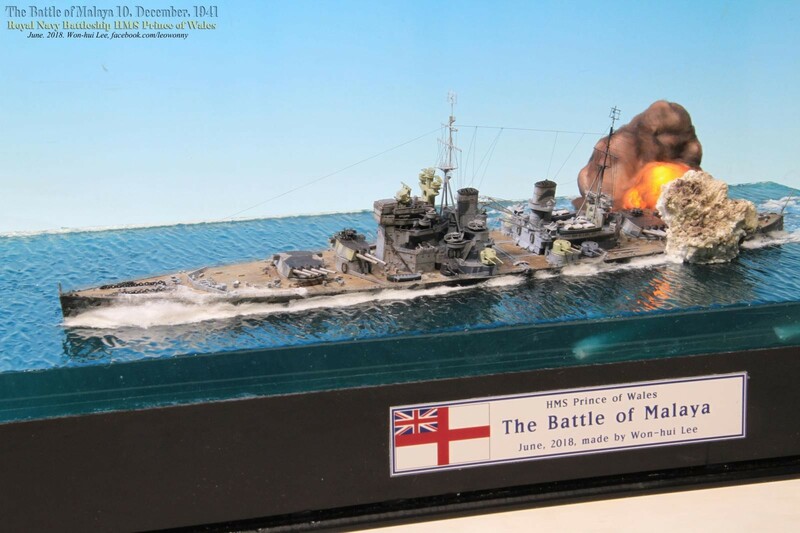 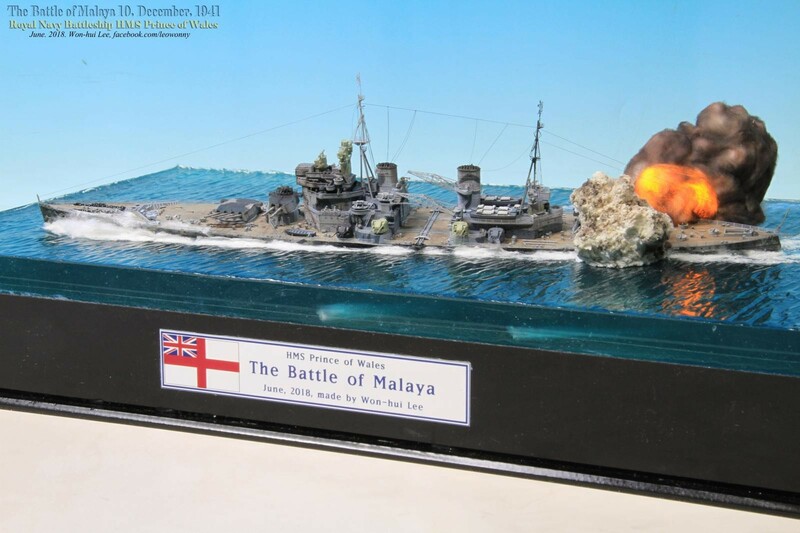 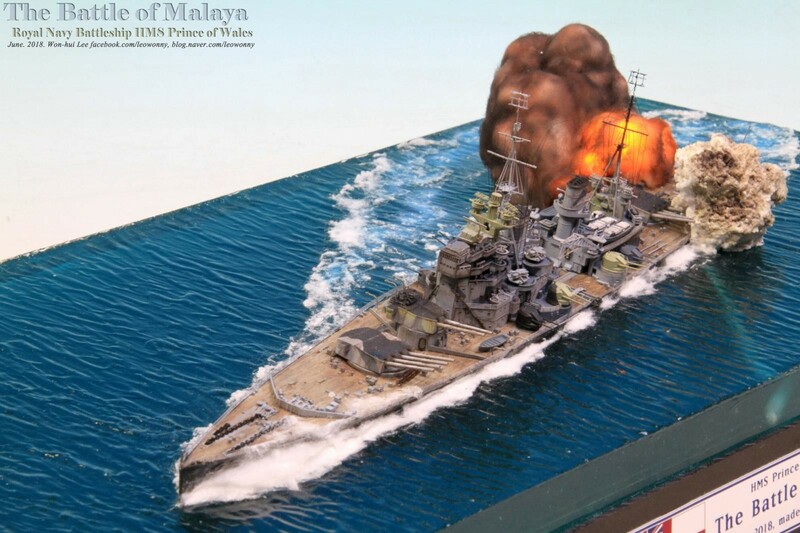 I made Diorama the last of Royal Navy battleship the Prince of Wales that sank in the Battle of Malaya. 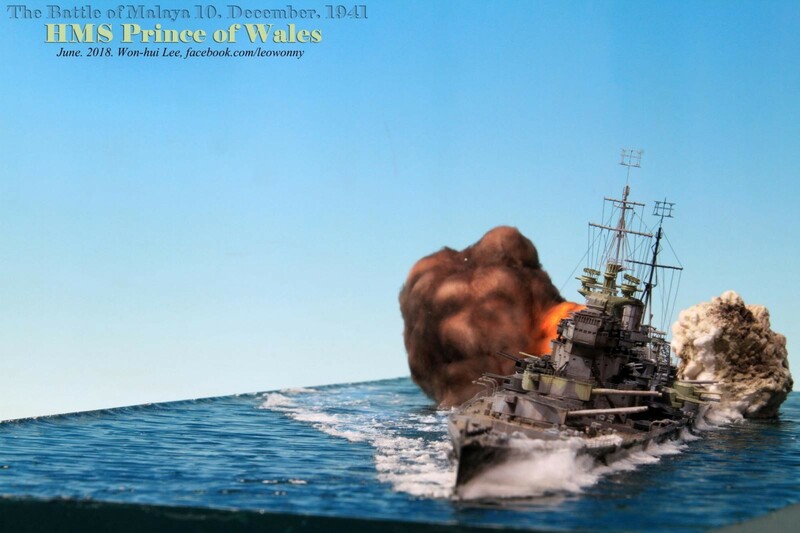 The torpedo struck Prince of Wales on the port side aft, abaft “Y” Turret, wrecking the outer propeller shaft on that side and destroying bulkheads to one degree or another along the shaft all the way to B Engine Room. 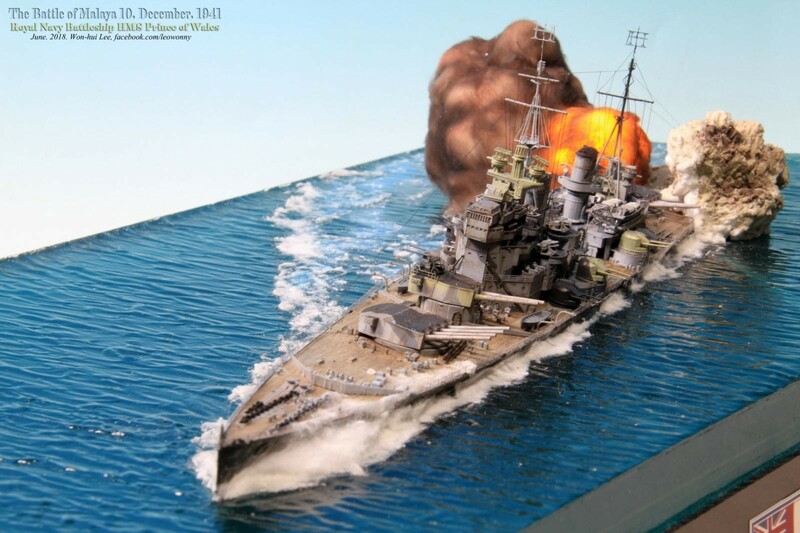 This caused rapid uncontrollable flooding and put the entire electrical system in the after part of the ship out of action. 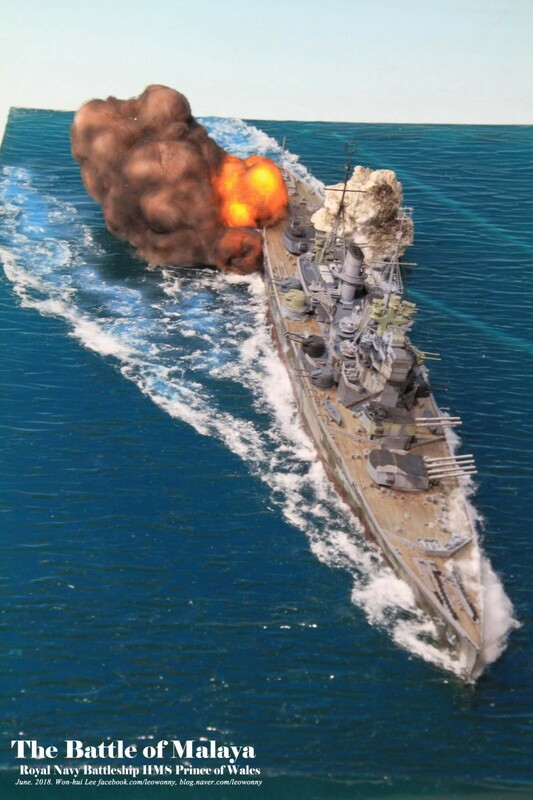 Lacking effective damage control, she soon took on a heavy list. 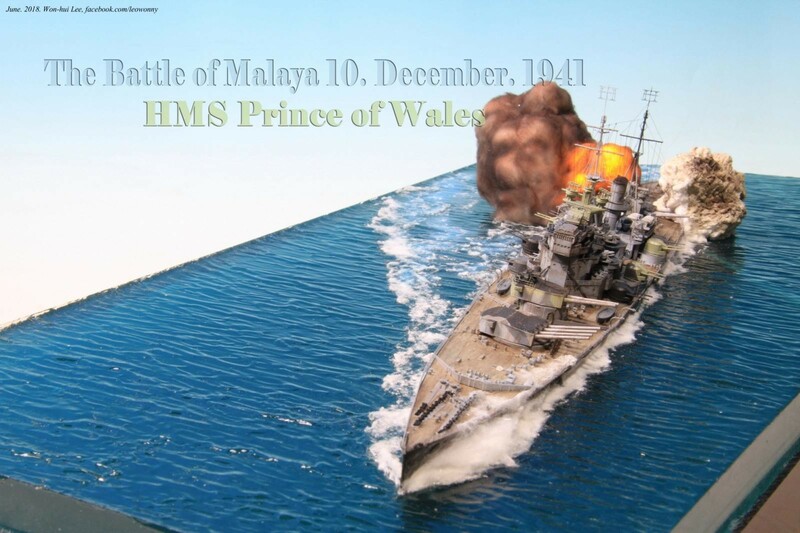 The sinking of Prince of Wales was an important event that meant that the battleship was no longer the owner of the sea. 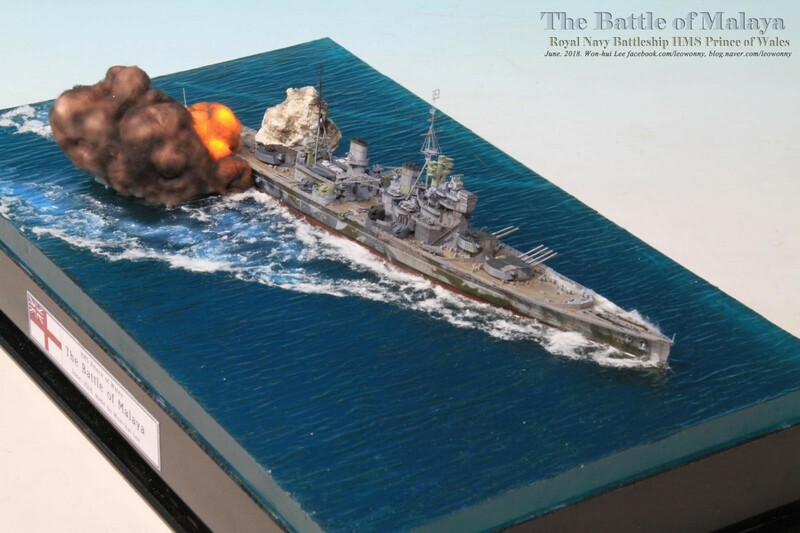 I’d be curious to be able to view ALL of your fabulous dioramas you have displayed. 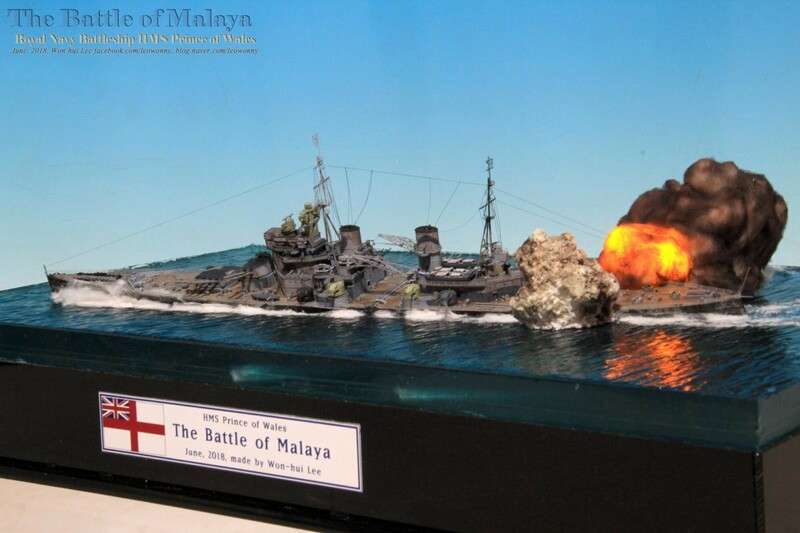 What a fantastic work of art and history. 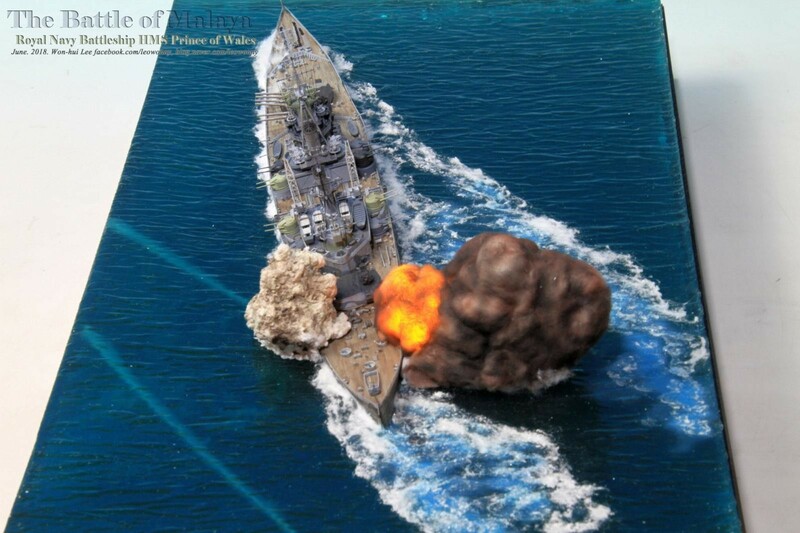 You captured an awesome look and it could fool a person into thinking it is a real picture of the real event. 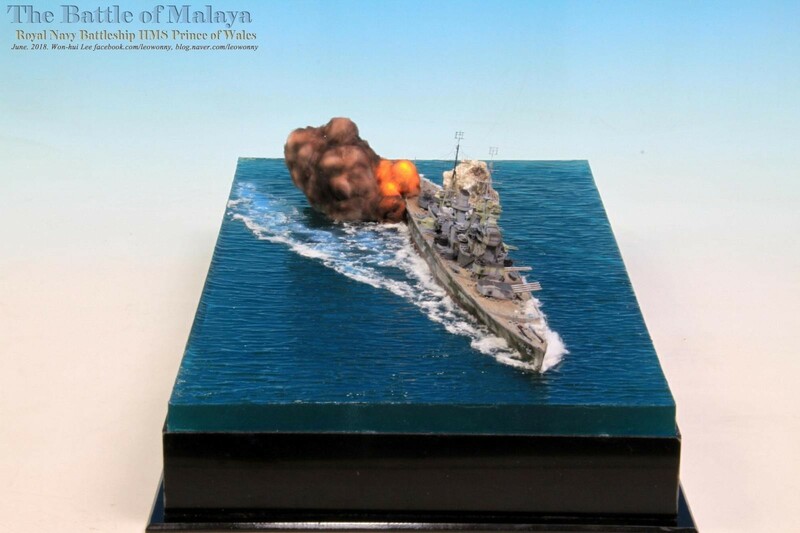 You are a master with the explosion effect, wow so so cool! 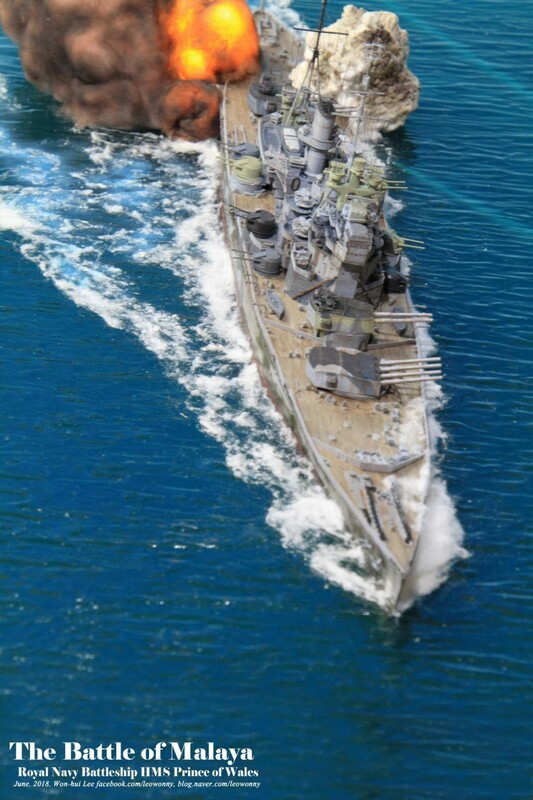 Great job on all the tiny detail work and overall paint job. 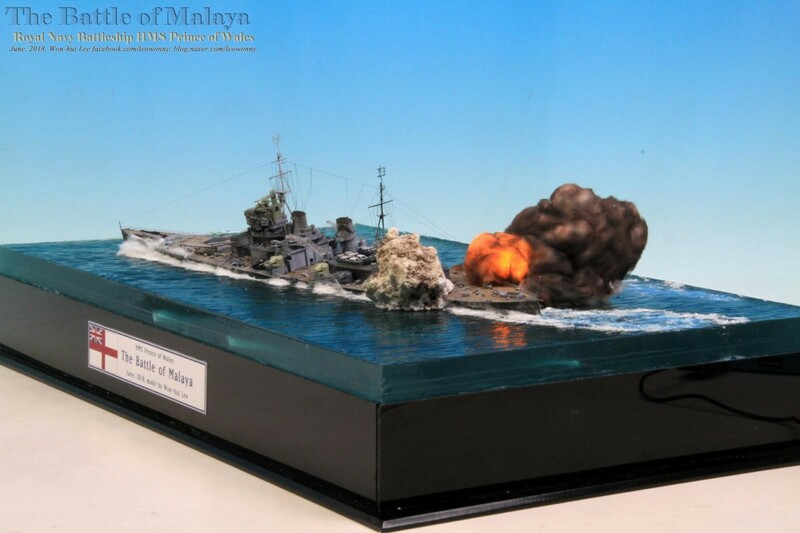 Water effect is also excellent. 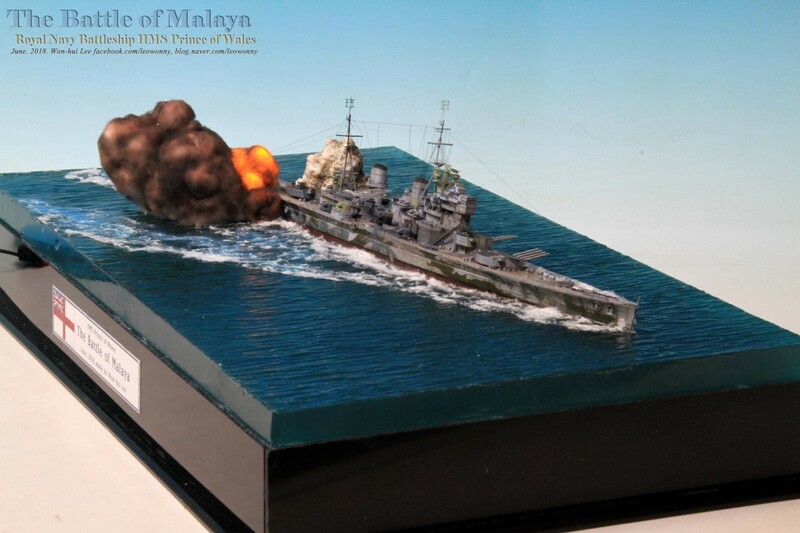 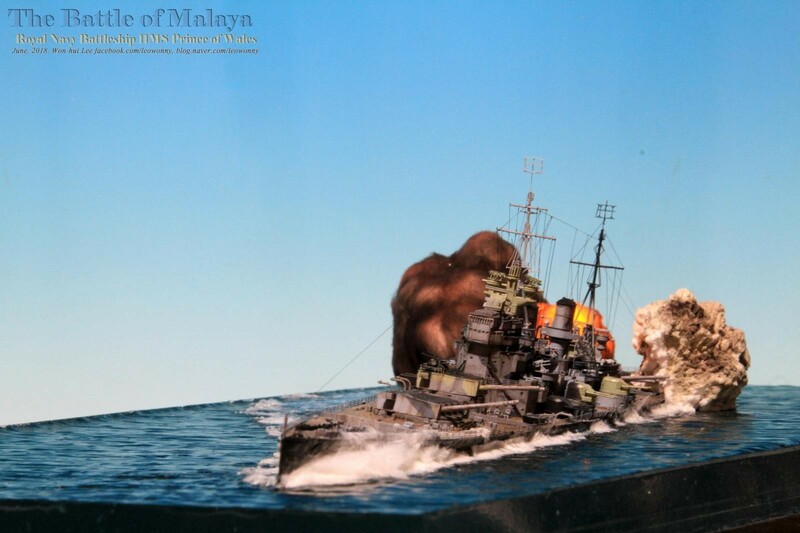 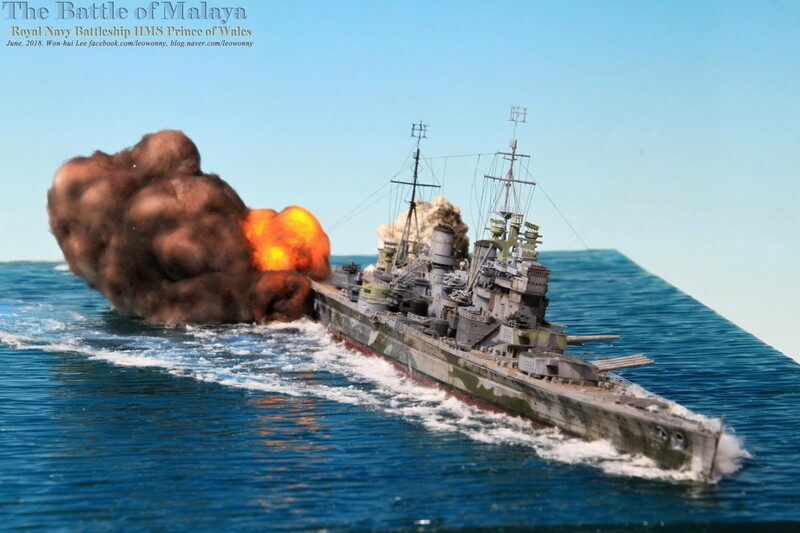 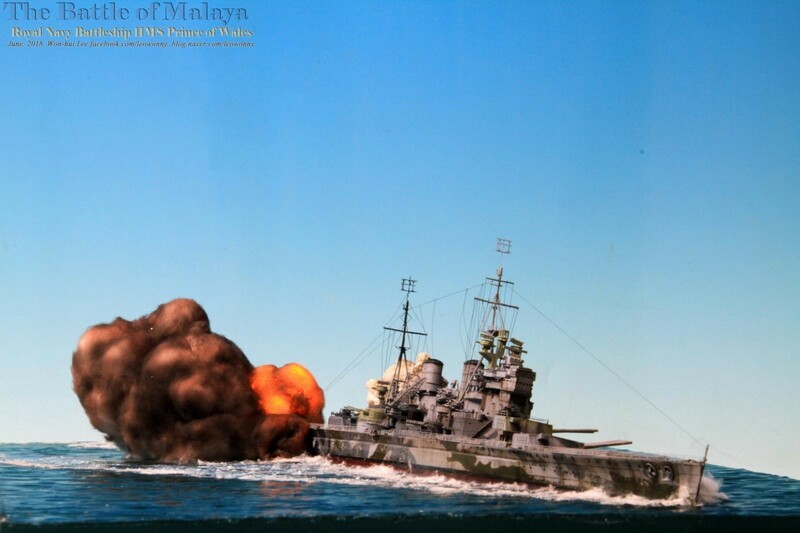 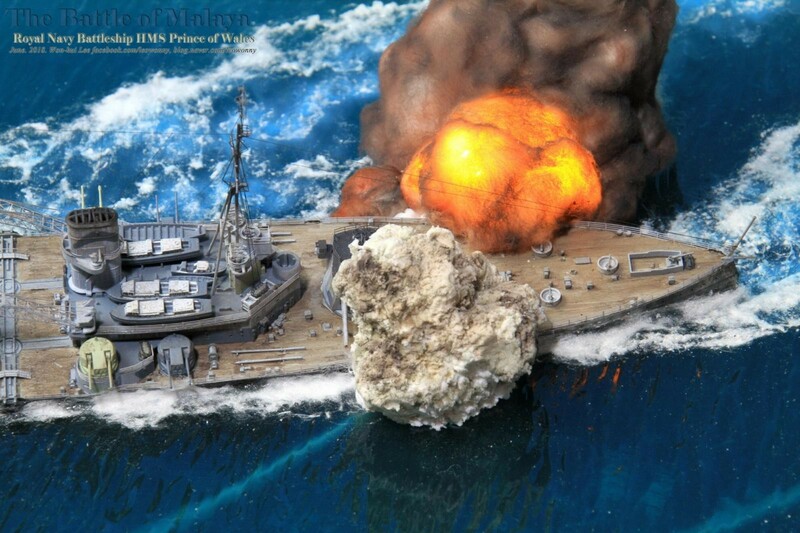 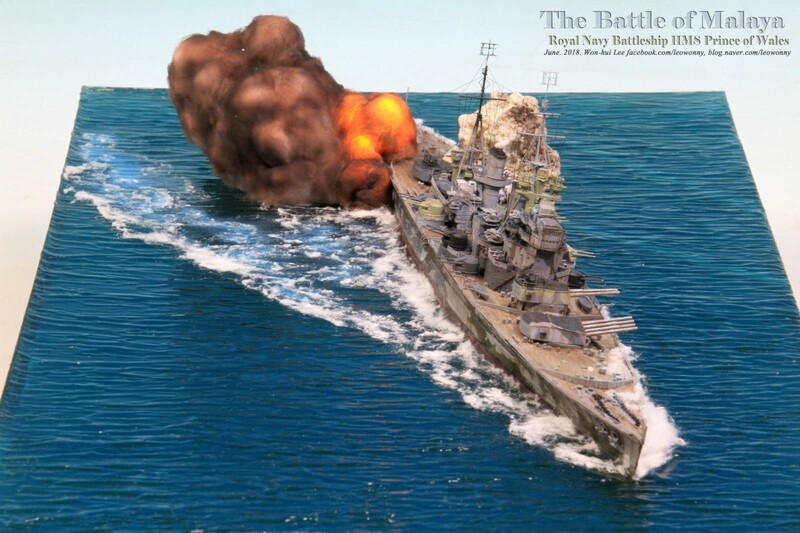 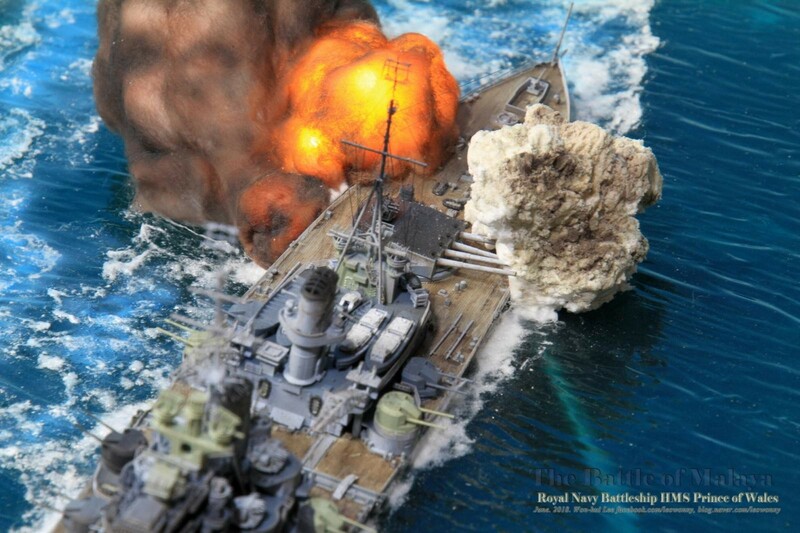 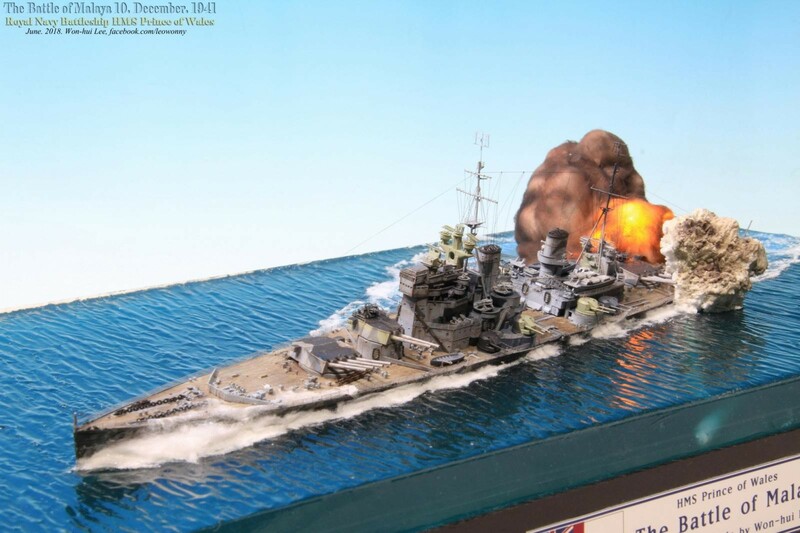 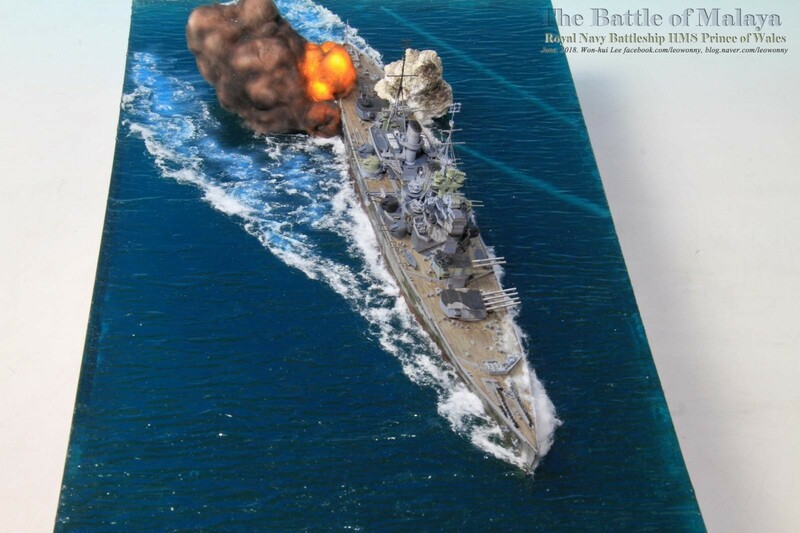 Your dioramas are a wonderful gallery through WW2 naval events, keep on making them! 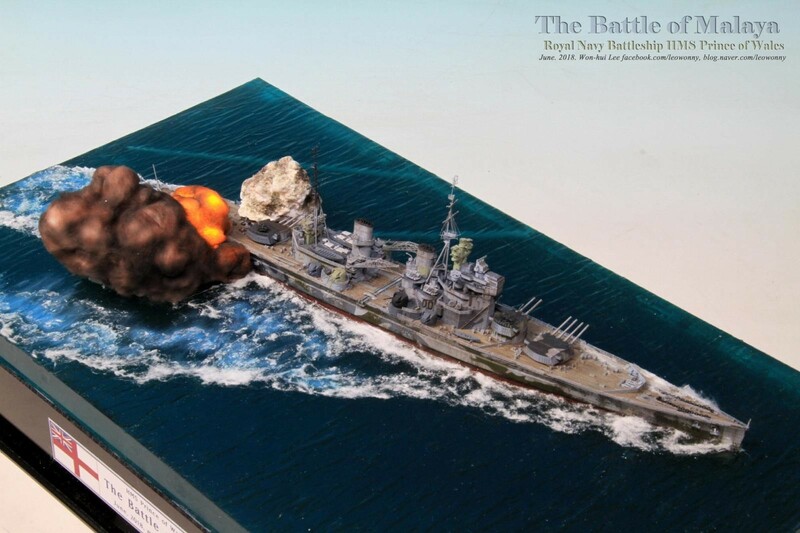 Your skill at all of the “effects” on these builds almost makes your excellent detail and build work less noticeable! 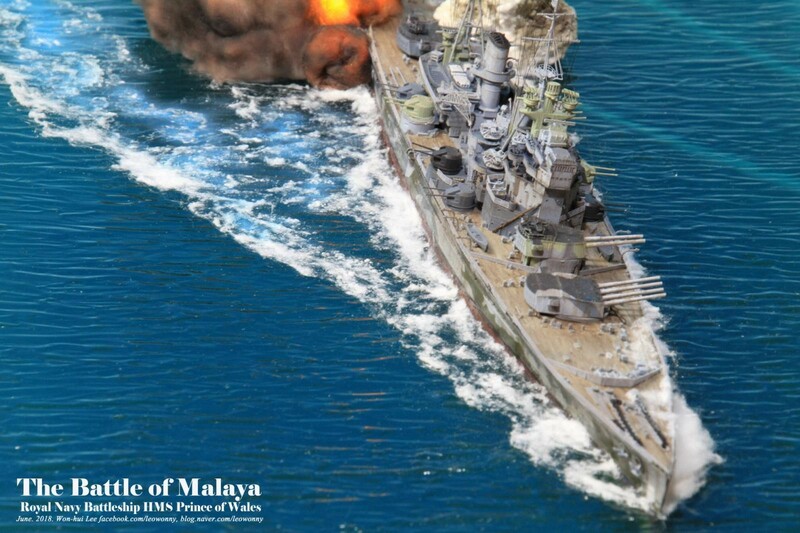 The water, the explosions, and the “action pose” (love the list of the ship) draw you in and make you feel like part of the action. 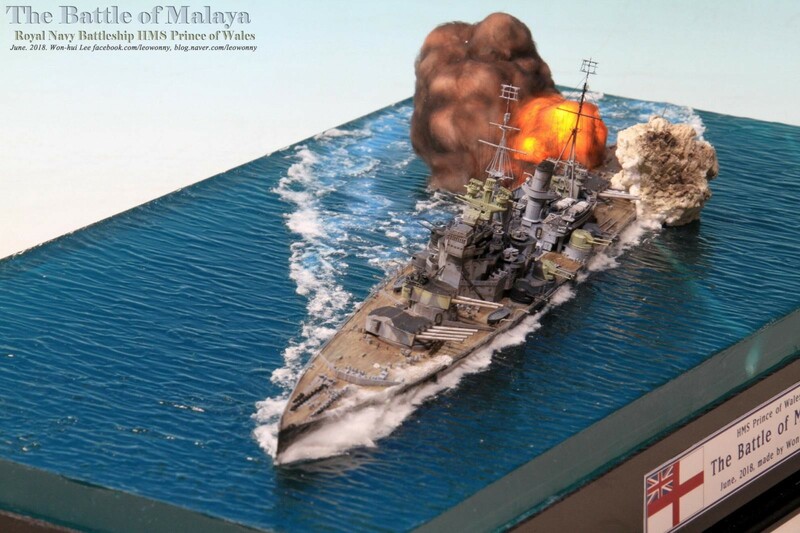 Then when you stop to look carefully at the details and paintwork, etc., the artistry just shines through!